We aim to get back to you at your earliest convenience. Just like the work our tradesmen provide, it’s our job to be at your service when it is convenient for you, with knowledge, skill, efficiency, honesty and passion. We are available over the phone, via email or social media including Facebook and Twitter. Remember to lookout for our article in the Peterborough Telegraph, giving a few handy tips of what to lookout for in home and property maintenance, including the first signs of possible problems, and many other local topics covered. We also include many good places to visit in the Cambridgeshire & Lincolnshire area, so while your work is being done by us, you can be enjoying your weekends or weekdays. 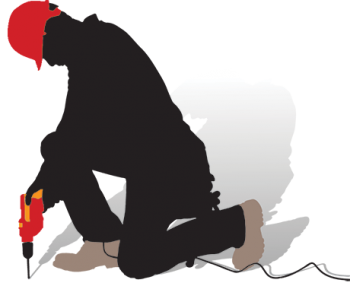 All our tradesmen are fully qualified, experienced and fully insured to give you piece of mind and assurance of excellent work. No job is too small. We pride ourselves on the quality of work, cleanliness and politeness of our staff. Whether you are looking for a carpenter, kitchen fitter, handyman or any other type of tradesmen please don’t hesitate to contact us for a free quote, and make Lily Rose Construction your no 1 choice for all your future construction needs.